The title seems paradoxical because it is taken as gospel that to get strong you need to lift heavy weights in the gym. This notion however fails in the same area where all hard truths, or dogmatic statements in that it is not true for all people or for every situation because it lacks nuance or detail. A lot of lifters who spend their weekend stiff and sore after a deadlift or find walking about work during the week difficult after a legs session might be trapped in a holding pattern of bad movement or poor programme structure. Training programmes have more than one variable which you can manipulate to get the results you desire. Broadly speaking there are five variables that can be changed or adapted. Each one of these variables can be manipulated from session to session, week to week and block to block to stop a lifter or athlete stagnating. Outside of these programming variables there are also a lot of personal variables that can affect how strong you are. Belt or no belt / sleeves or no sleeves / equipment etc. When you come into the gym week on week and try to add reps to a weight or when you try to use the same weights x reps scheme and add load week to week then what you are doing is twofold. Ignoring any of the day to day variability in your own preparedness that can have a dramatic effect on your ability to perform at maximal capacity. Ignoring the other four variables in programming that could be used to progress your training from week to week or block to block. Training programmes such as ‘Stronglifts 5x5’, or a body building split that utilises the same sets x reps scheme and exercises week on week, is only really a viable option in the long term for a complete beginner. For an intermediate lifter these routines will stall out reasonably quickly however, some people might get pretty good gains from them for a few months but this will depend on the training that they have been doing prior to starting the new programme. This increase in strength over the initial 8-12 weeks of a programme can usually be put down to a change in a few of the programming variables. For instance, if someone was to switch from 5/3/1 (1x a week training programme that cycles intensity week to week with a low weekly volume) to 5x5 starting strength they would be likely to realise a gain in strength since they will be increasing both their volume and frequency over their previous training programme. For an intermediate to advanced lifter, who has been lifting for a number of years and achieved a good level of strength, routines that don’t modulate between the five programming variables we have already discussed, the likelihood that the lifter will plateau or get fatigued are pretty high. What most lifters experience as plateaus or a prolonged period of stagnation is normally just a lack of appropriate programme variation. John Doe is a 83 kg lifter who took up barbell lifting three years ago he has best lifts of 175 kg squat, 130 kg bench press and a 215kg deadlift. Over the past three years John has hopped between three templates and programmes. In year one John performed the stronglifts 5x5 template and got great gains in the initial six months of lifting. However, in the back end of the year John started to realise that his lower back hurt a lot week to week and in-turn, he stopped realising such good strength gains. 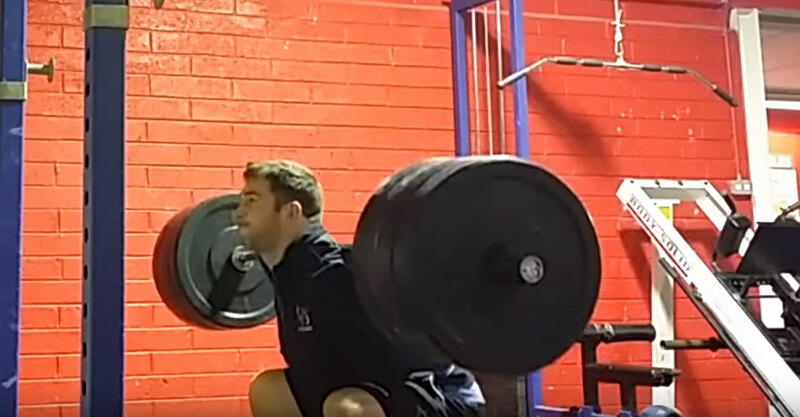 Eventually, John failed to get any better week to week using the 5x5 protocol so he started reading around and through some recommendations on internet forums, and from a few lifting buddies, he happened upon Jim Wendler’s 5/3/1 programme. 5-3-1 was different because the sets x reps changed over time and it followed a four week structure instead of just being a one week template. Loads were based off what John had done previously so the programme worked out what loads he should be lifting from workout to workout. During the year John set lots of rep personal bests and over the year he got stronger however, the reps and max strength levels didn’t really add up. By the time it came round to year three of training John decided that he was missing something out so he started reading about how the strongest powerlifters of all time trained. He came across a powerlifting coach named Boris Sheiko and discovered a few of his programmes. He decided to try the popular 4 block programme (#29, #30, #31 and #32). This is a 16 week, 48 workout programme designed to peak a powerlifter for competition. During the programme John lifted with far more volume than he has ever lifted but lifts very little over 90% RM. During this 16 week period of training he realises better results than he’s ever obtained before, yet hasn’t once had to try hard to make a lift. How can this be so? What John experienced over his first three years of training was three different levels of programming. Year one he did "Stronglifts" which is a weekly training template that utilises a limited number of exercises and little to no sets, reps or volume. The simplicity makes it great for beginners but the lack of variety makes it a poor programme for anyone who is not in their first year of strength training. Year two, during 5-3-1, he started to utilise his first periodised programme as it changed intensities and volumes over a four week period. 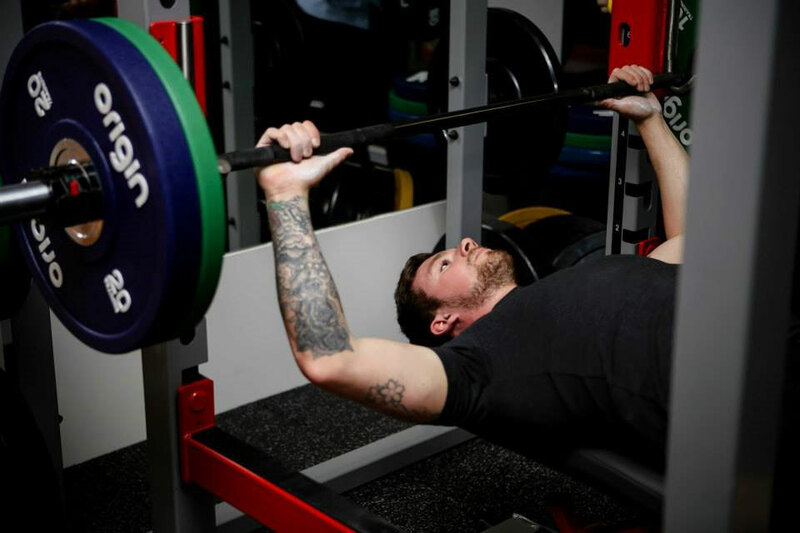 The programme is designed to be ran cyclically and works for most lifters however the lack of genuine heavy lifting and volume of practice makes it a moderately effective programme and not great for maximal strength. Year three, running the Seiko routines he discovered a 16 week periodised routine where every workout has a reason and everything interlocks with a purpose. The great amount of practice using the movements he wanted to get better meant he made great progress all whilst not going over 90% on lifts for the majority of the programme. The above picture shows how a good flow to a programme for strength works be it over four weeks or four years. 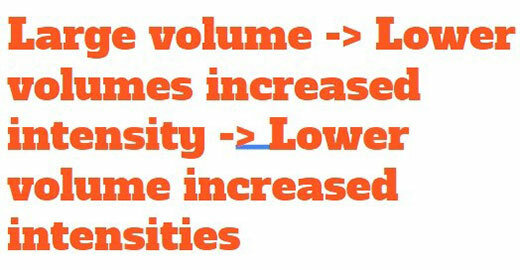 Fitness is increased by volume long before intensity is used to increase or realise fitness levels. Each lift is performed with correct, or near to correct form meaning you are training the muscles used to lift a maximum weight in the correct sequence and positions. It allows you to get used, or even numbed, to performing the exercise meaning your technique will start to become automatic. You will be fresh after workouts and not suffer from back or joint stiffness very common to overreaching based programmes. You can get better at the skill of lifting whilst disassociating will of effort or psyching yourself up constantly which makes these programmes even more effective. Good programmes don’t start with high levels of intensity. When they do call for a high level of intensity then, not only will you be ready to produce it, but you will scare yourself with how strong you actually are! This entry was posted in Training Guides on 2nd March, 2016 by Marc Keys.